 You can get hard-to-find schedule 80 PVC fittings for your home improvement project here at PlumbersStock. 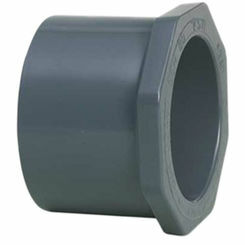 To connect pipe, you need the right fittings, and we have a huge inventory of discount PVC fittings. 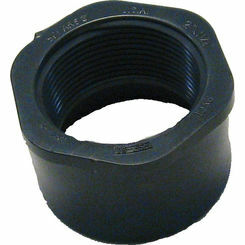 You will surely be able to locate the schedule 80 pipe fittings you need. 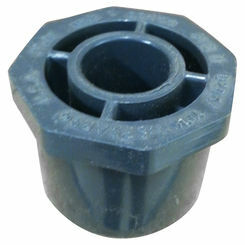 Learn more about schedule 80 and its uses in plumbing and lawn and garden applications below, or use the filters on the left to refine the product results below to match your search. We also carry PVC glue/primer. 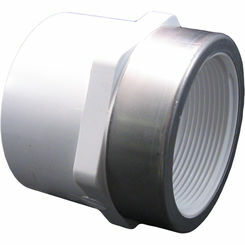 What Is a Schedule 80 PVC Fitting? All PVC pipes and fittings are rated by a number. Most common are schedule 20, 40, and 80. 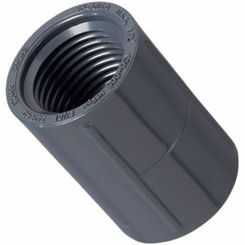 "Schedule" indicates the pipe thickness. The higher the number, the stronger the pipe is. 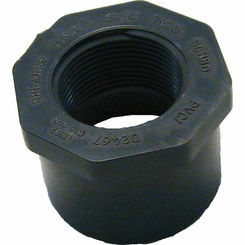 Schedule 80 fittings are used for applications that, due to harsh elements or pressure, require stronger piping. 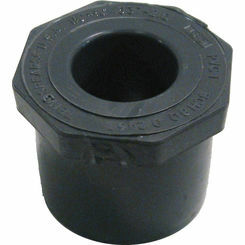 Schedule 80 is rated at 200 psi (Pounds per Square Inch) at 73 degrees Fahrenheit. Schedule 80 can be a bit more costly than the 40, but it is made with more material. It is also important to note that safety should be considered when choosing which schedule pipe to use. Knowing the building codes for your area is very important. 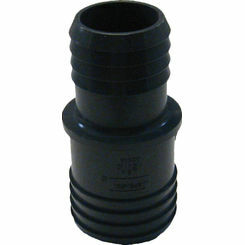 If you know that the job in which you are doing requires schedule 80 PVC fittings, you should NEVER use schedule 40. 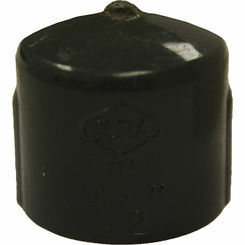 This could be dangerous and can cause damage to your house, business, appliances or even yourself. If you use a lower schedule pipe than what is needed, it can shatter into pieces which create projectiles that can be dangerous. The Schedule 80 pipes are thicker and heavier than the lower schedule pipes but have the same outside diameter. As the schedule increases, the internal diameter decreases. 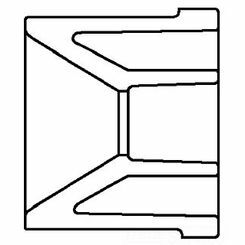 The fittings work well with any schedule, but due to safety, you should always use the same schedule fittings. 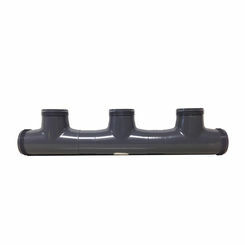 To implement an efficient system of pipes, you will want to use each schedule 80 PVC fitting for its intended purpose. 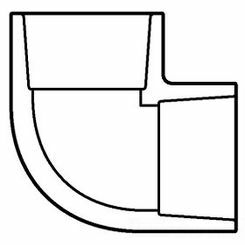 Elbow fittings allow you to change the direction of the piping in either a 45 or 90-degree angle. 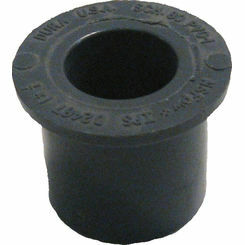 The Cap fitting allows you to cap off or end a pipe that is not in use. 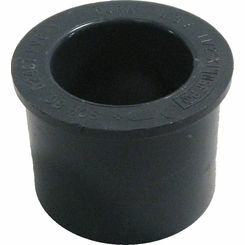 Couplings are for use when you need to connect two pieces of pipe which have the same diameter. 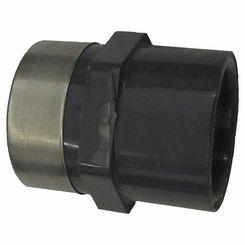 The Tee fitting allows you to turn one pipe into two, allowing you to change the direction of the flow. Sch. 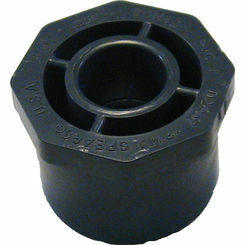 80 PVC Bushing fittings are used to turn a slip hole into a threaded one. 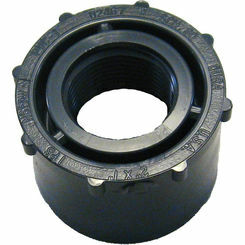 A Flange fitting is used when you need to connect two pieces of pipe with an extremely tight bond. 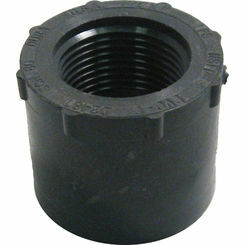 The flanges have bolt holes for added security for the bonding of the pipes together. 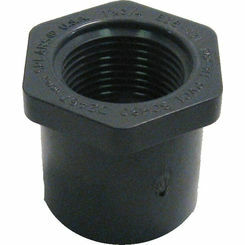 Adapter fittings help when you need to go from a pipe that has no threading and create a connection that requires a threaded fitting to be connected together. 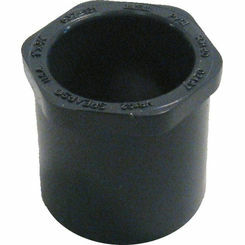 A Reducer allows you to go from one sized diameter pipe to a smaller one. 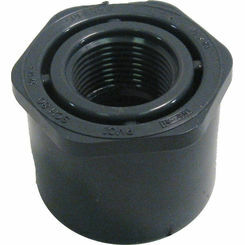 Schedule 80 does have limitations, and the pressure capabilities should never be exceeded. Schedule 80 PVC does offer some insulation capabilities due to its wall thickness can help to maintain the temperature of the water within the pipe and fittings. It does have restrictions, and should never have water flow through it over 140 degrees Fahrenheit. 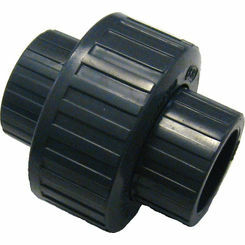 PVC requires a two-step process as far as joining the fittings and pipe together. A PVC primer is necessary to the gluing (chemical welding) process along with PVC cement. If PVC primer is not used, the cement will crack and break over time and will not hold any longer. The use of both the primer and cement allows for a chemical bond. The Primer takes off the glazed surface of the pipe and allows for the glue to melt the pieces together. This is very much like a thermal weld with metal. Whether you are a contractor or a do-it-yourselfer, here a PlumbersStock we have everything you need to complete your project. We have a professional staff, so please contact us if you have any questions about shipping rules or need help finding that right schedule 80 PVC fitting.